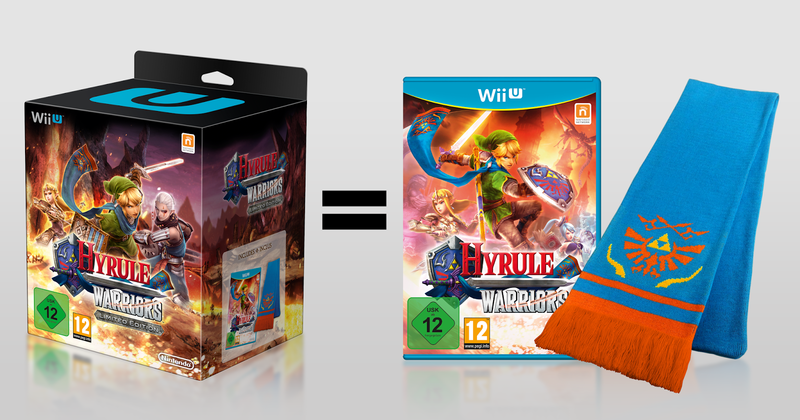 Nintendo have recently released their latest Direct and this time it's themed around the upcoming Hyrule Warriors! 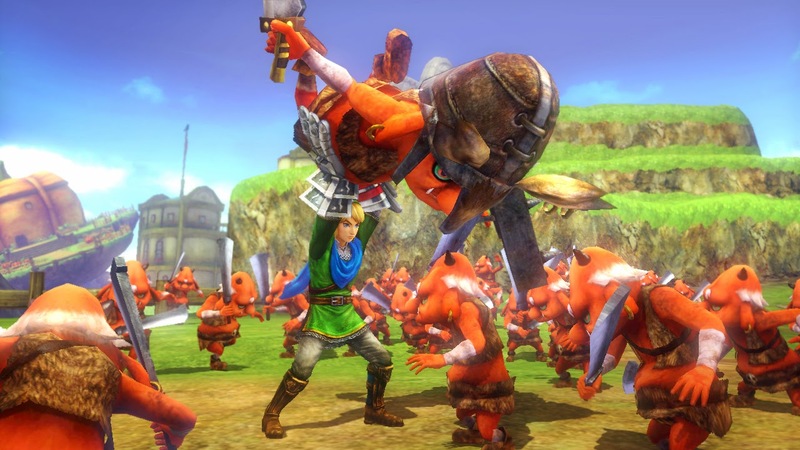 The Wii U is finally getting a brand new Zelda game and this latest outing is coming from Koei Tecmo, most famous for its Dynasty Warriors franchise. Let's dive into the details shall we? The Direct opens up with the basics of the game, if you've played Dynasty Warriors before, you'll be noticing a lot of similar things here and there, if not you’re essentially a one man or woman wrecking machine. Once you choose your character and take up your weapon of choice, you cut, smash and blast your way through hordes of low level enemies across large battlefields based on different Zelda games. Scattered around these battlefield are keeps, large castle like buildings filled with more powerful enemies and mini bosses, liberating these keeps will give you further advantages on the battlefield, as well as provide you with more weapons, such as bombs and arrows which are used to unlock further areas in the game or to give you a tactical advantage against boss enemies. 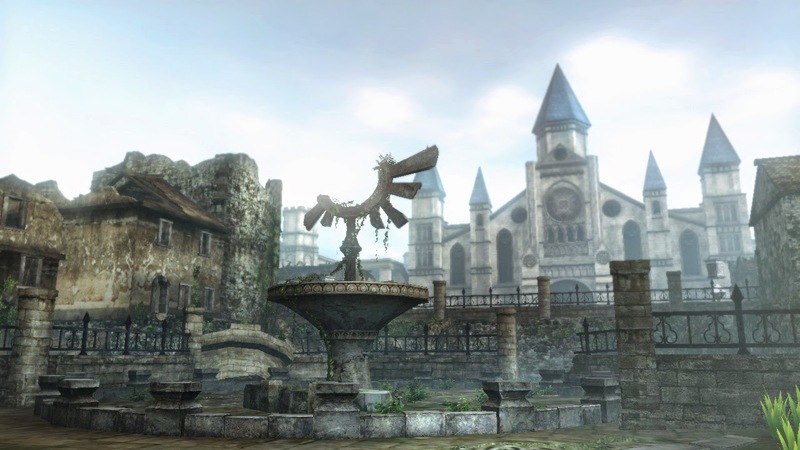 There are plenty of stages that are shown off here as well including Skyloft from Skyward Sword, Lake Hylia from Ocarina of Time and Twilight Field from Twilight Princess are just a few that are mentioned, but there will be even more areas from those 3 games and others from the series. 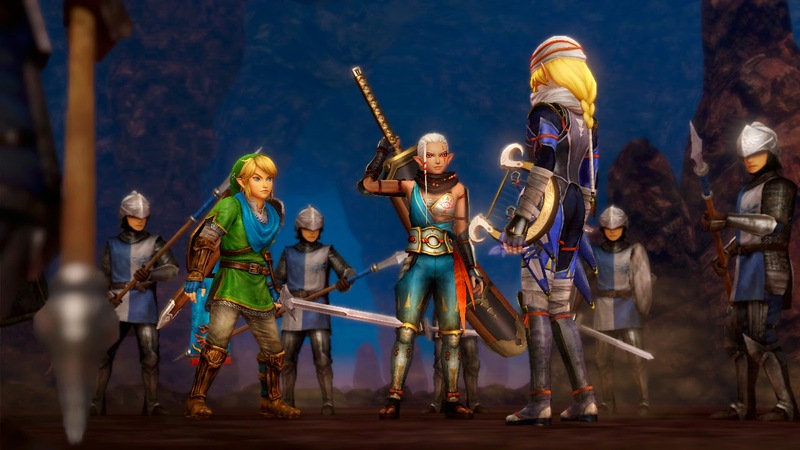 Traditionally, Link is the only playable character in the main series, but Hyrule Warriors is set to change that with a fairly sizeable roster. Spanning across the entire Legend of Zelda series, many familiar faces will be popping back up. Obviously Link is there, starting out as a Hylian Guard, Link is equipped with a Hylian sword and shield. He wields them just the same as he would the Master Sword, which you'll eventually get by progressing through the game. As well as Link you can play as Princess Zelda, her signature weapon is a rapier and the bow along with light arrows. Impa is up next, being a Sheikah Soldier she carries a massive blade that delivers devastating blows. Impa looks like she's going to be my go to character, I really like her design as it's a massive step away from Impa's original design as the carer of Zelda and is really busting out as a total badass. Sheik is also playable, a speedy fighter who uses martial arts as well as her signature harp to deal magical damage to enemies. As well as the main four heroes listed above, a lot of love has been put into the other characters from beloved games in the series. If you've played Ocarina of Time, you'll recognise the next few, Darunia, Chief of the Gorons from Death Mountain. Swinging a giant hammer to take out foes, as well as being a real powerhouse, if you get him in the right mood, he'll bust out some sweet dance moves too! Next up is Princess Ruto of the Zora tribe, using water as her main weapon, Ruto can change the ground into liquid to dart around at high speeds as well as use her arm fins as bladed weapons. From Twilight Princess comes Midna in her altered form, she rides a wolf around and using her hair as a weapon to either whip enemies or morph it into a large fist to deal out punishment. Agitha also appears, the self-proclaimed Princess of Insects, she uses a parasol to dispatch justice and can also summon huge bugs to crush her foes. Finally from Skyward Sword comes Fi, the mystical spirit that resides inside the Master Sword. Fi glides around almost like she's dancing and can transform into the Goddess Blade to attack anything in her way. As well as all the heroes, there are also some villains to play as; Zant, Ghirahim and the mighty Ganondorf all show up. Zant uses Scimitars, magic and summoning moves which can also change his size to drop onto his enemies. Ghirahim uses the Demon Blade to bring down his opponents as well as being able to transform into an even mightier version of himself. It's not all old characters though, Lana is a brand new to the series and as well as being playable, she's also a key character to the main story. Holding a magical spell book, Lana uses sorcery to take down bad guys; she can create walls to push enemies back as well as crush them beneath the apparitions, or destroy them to cause huge explosive damage. As well as all the weapons listed above, certain characters can get secondary weapons, for instance, Link can gain the Fire Rod, a magical stave that creates pillars of fire that can be launched at foes. Zelda can also hold the Baton from the Wind Waker to create huge plumes of wind to send enemies flying. Luna has a Spear with the spirit of the Deku Tree and Impa can swing the Naginata, a bladed bo staff. Using different weapons changes how your fighter handles so make sure to test out everything you get your hands on! As well as just weapons, every character also has a Focus Spirit gauge, once filled it activates a power up which increase your abilities. There's also some wackier items such as Cucoos, the chickens that walk around in every game can be found here too, if you hit them too much, they'll attack you en masse, but this can be used against enemies as well. 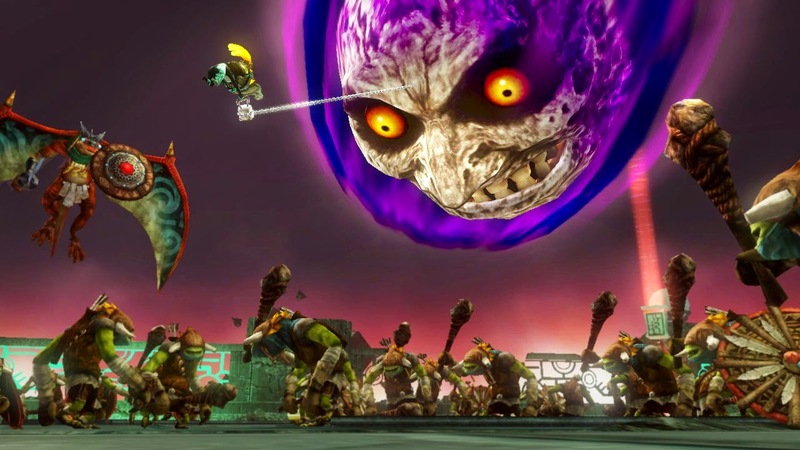 There's also the hook shot, traditionally used to grab distant objects or drag enemies toward you, in Hyrule Warriors you can use it to pull the moon from Majora's Mask out of the sky to crush enemies below, even Chain Chomp who only appeared in Link's Awakening on the original Gameboy can be used! Rather than gobble up people like he usually does, you can now swing him around like a wrecking ball. As you progress through the game, your chosen fighter will level up and with this comes increased stats and abilities, also as you defeat larger enemies and bosses, they'll drop loot items which you can use to craft badges and with these badges, you can power up your character even further giving you longer combos, extended focus spirit or make potions to have greater effects. Weapons will sometimes have special skills attached to them, you can also fuse certain weapons together if they have empty skill slots to share these skills on a different weapon should you want to enhance your current equipment. DA NA NA NAA...wait, what? 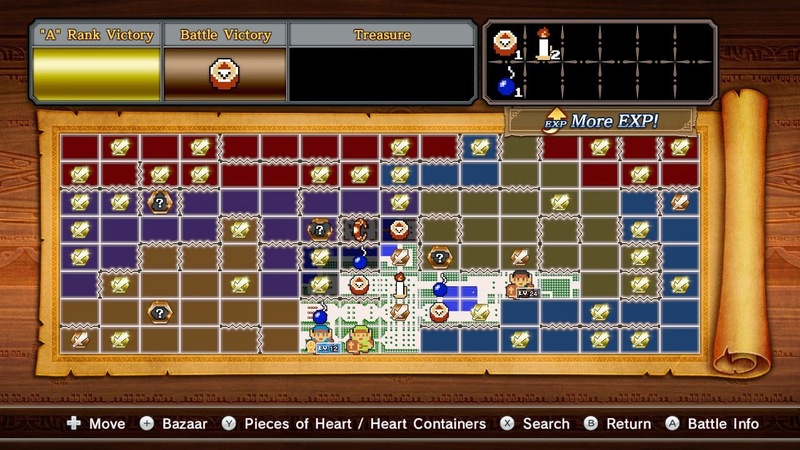 Harkening back to the days of the original Zelda, Adventure Mode has you placed on a grid like map, inside each grid square you are given certain objectives to accomplish such as defeat a certain amount of enemies or beat the area in a time limit. Once you select the mission, you're transported back to the Hyrule Warriors world to carry out your objective and upon completion you're back on the grid where the surrounding areas are unlocked. As well as completing missions, you can also search the map for hidden items and areas. Certain weapons and characters are only unlockable in Adventure Mode, so you'll need to search around everywhere for all the loot and collectables you can find. There's also a 2 player co-op mode available with one player using the GamePad and the other using the big screen. To keep the action going at its high speed pace, the resolution had to be lowered for the game to run smoothly. While not mentioned in the Direct itself, it's previously been stated that unfortunately there's no online mode on Hyrule Warriors. Not long after the Direct had finished, Nintendo announced the Special Edition of the game available in Europe on the 19th of September. It comes with a Hylian Scarf as well as a copy of the game, unfortunately, unlike the Japanese exclusive, this doesn't come in a treasure chest shaped box. 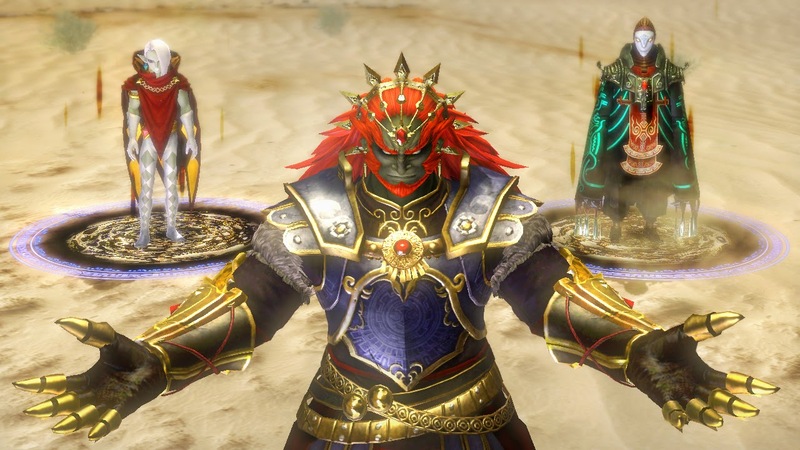 Preordering the game can net you some exclusive character designs depending on where you get it from, and registering the game on Club Nintendo will get you the classic Demon King Ganondorf skin from Ocarina of Time.